Close To My Heart is offering a special stamp that is only available from now till March 31st. For those of you who had a tropical Spring Break, or are planning a cruise or trip to the Islands this is for you!! 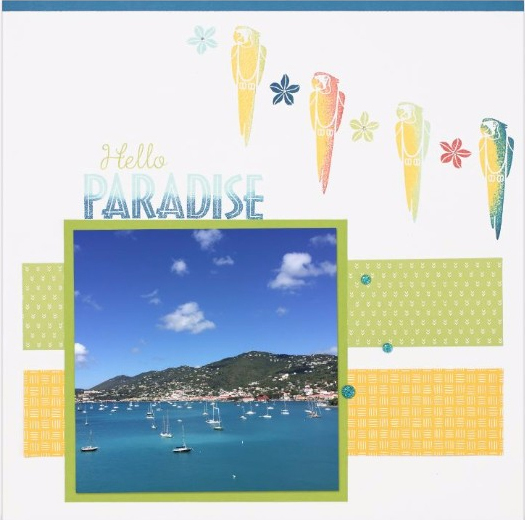 The exclusive Hello Paradise stamp set is available now through the end of March! Take advantage of this month’s Stampaganza promotion to earn a free stamp set when you buy two at regular price—that means that this beautiful set could be yours for FREE when you choose two other stamp sets! Get your order in now and stamp your way to paradise! Hello Paradise! Visit my online business address to learn more.